According to Forrester, B2B eCommerce in the U.S. will hit $1.2 trillion by 2021, seeing a Compound Annual Growth Rate (CAGR) of 7.4% over the next four years. It is therefore essential that businesses optimize the eCommerce experience for their customers. B2B sites have typically been known as less usable, but it is time for them to catch up with B2C and make it really easy for customers to do business. B2B eCommerce has unique complexities, which present unique challenges and therefore require a unique set of best practices. We will explore these challenges in our B2B blog series and offer advice and solutions to ensure that your B2B site delivers a superior experience. B2B buyers typically know exactly what they want. Being able to find it quickly and without unnecessary clicks or searches is key. Your B2B buyers need to search and navigate your site easily so that they can find what they are looking for and get on with their day. Don’t forget that your B2B buyers are also B2C customers of other companies, and it’s likely that they are used to experiencing good product findability. We can break product findability down into two main areas: Navigation and Search. B2B products can be complex, with a huge number of attributes, products and ways to buy. The manageability of navigation filters is important so that your business can quickly create new filters as products are changed or added. 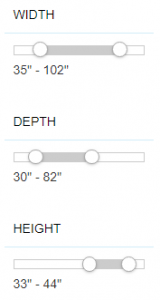 Make these filters visually attractive and easy to use, for example by creating sliders for numeric options. Remember to adjust the number of attributes that are displayed according to how far down the navigation tree the buyer is. At a broad level of products, it would slow down the buyer to show the attributes for every single product. Limit this to broader attributes, such as brand and color. Depending on the user interface, we suggest showing 5 to 6 attributes. As the buyer progresses in their navigation, it becomes more important to show the detailed attributes. Category Management – The ability to restructure categories to better suit the needs of the buyer. Dynamic Attributes – The ability to create attribute groupings based on numeric data. For example, dynamic price groupings. Multi-Select Attributes – EasyAsk allows attributes to be multi-selectable or single select. All of this functionality is under the control of the business user, not the IT department, which could take days or even weeks to implement. EasyAsk keeps your B2B site agile and current. 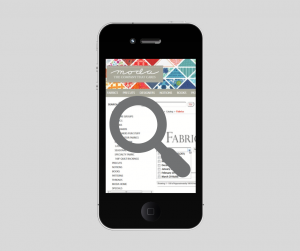 Your B2B site search needs to be accurate and to understand the terms that your business uses. It should also allow any non-standard terms to be defined. The higher the number of products in your catalog, the greater the importance of Natural Language Processing (NLP). 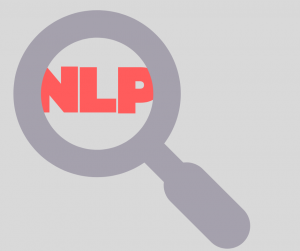 NLP is the ability to understand the different ways that people might describe the same product. Understanding the terminology of your users and the ability of your search engine to intuitively and instantly map that to the correct products is extremely important in B2B. Analytics are invaluable in showing how your users are interacting with your site, but are you able to implement any resulting changes rapidly and easily? Does your site search implicitly understand prices, sizes, lengths and other weights and measures, allowing customers to search using alternative forms of input? Your site should enable your customers to buy how they want to, not how your search system dictates they should. Of course, users may well be searching using complex part or product numbers rather than words on B2B sites. This can be an issue for regular site search engines and we will cover this challenge in our next blog post. Search As You Type (SAYT), aka autocomplete/instant search, is a really useful tool for B2B buyers on your site. As a user is typing, the pop up can show the products that are most likely to be sought, for example recently searched or purchased products. It’s also a good idea to display the last searches that the user made even before SAYT kicks in. B2B buyers are often buying the same products repeatedly. With all search results pages, it is important that your search engine only displays products that your customer is entitled to buy. We will explore customer-specific catalogs later on in this blog series. Although B2B buyers interact in differing ways to B2C shoppers with your search and navigation, it’s equally, if not more important that your search system performs well when faced with the unique demands of B2B eCommerce. You need a powerful system to cope with that. 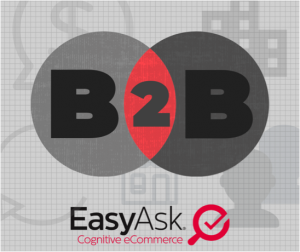 EasyAsk offers the only merchandising tool designed exclusively for the rigors and challenges of B2B eCommerce. EasyAsk can be configured for any platform, either commercial or built in-house. EasyAsk has long served the B2B customer segment and over 200 B2B distributors have chosen us to power their B2B eCommerce sites, including: HD Supply, Aramark, Alphabroder, Demco, Kaman Industries, Tacoma Screw, and Crown Packaging.